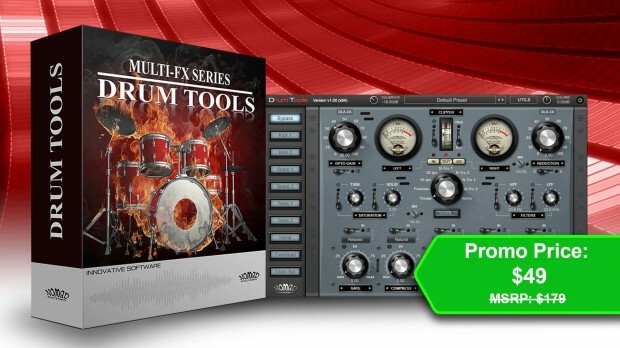 The Nomad Factory’s Drum Tools promo is in its last days. You can get it for only $49 instead of the $179 List price only until the end of August, so act quickly to not miss out on a great deal on an exceptional product. >Nomad Factory’s Drum Tools can get you a ‘Killer Drum’ sound right away. If you want to have a successful mix out today, your Drum sounds had better sound amazing, punchy, have clarity, and sit “in the mix!” Nomad Factory’s Drum Tools was made exactly for that purpose, to give your Drums a powerful/modern sound.